We're wrapping up this week off with a visit from Lawrence M. Schoen,college professor, researcher, authority on the Klingon language, and (of course) author. A 2007 finalist for the John W. Campbell Award for Best New Writer, and 2010 Hugo nominee for Best Short Story, he is currently touring in support of Barsk: The Elephants' Graveyard, available now from Tor Books. Q: Thanks for taking the time to stop by today, Lawrence. 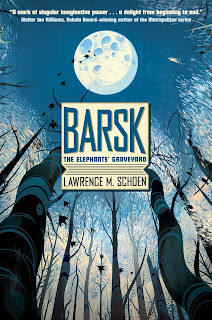 For those who have yet to indulge in Barsk: The Elephants' Graveyard, your Amazing Conroy universe, or any of your short fiction, please tell us a little about yourself and give us an idea of what we can expect. As a writer, I like to think I’m always changing, always growing, pushing myself to do better, to try new things, new ways of crafting a story, of modulating pacing or folding subplots into the main theme. All of that aside, I suspect the thing that is unchanging is that I am first and foremost writing character-driven fiction. It comes easily to me, whereas handling the nuances of plot is a battle every time. Which of course means that’s the wall I keep throwing myself at. As for me, I’m your typical overeducated, middle-aged cis white male, happily married (second time around) for a bit over a decade now. I have a dog. Most days I wake up and look at my life and feel truly blessed. Q: The Fant, the anthropomorphic elephants of Barsk, are definitely one of the more original species in science fiction. In fact, the only other example I can think of is Footfall by Niven and Pournelle. What possessed you to put elephants at the core of the story? It started as a whim, a random firing of a few neurons, as part of an accidental conversation with the roommate of one of my students more than twenty years ago. But then as I began to learn more about elephants, I became hooked. I’m stunned that more authors haven’t used them in fiction. They’re extraordinary! Q: In your future, there are no surviving remnants of humanity, just our animal successors. Given that your background in the study of human behavior and the mind has previously influenced your fiction, what was it like to step outside humanity and, really, start all over again? I think that, deliberately or otherwise, my background as a psychologist causes me to slip in bits about cognitive processes, memory, and language in everything I write. And yes I do step outside humanity, but not really. Because whether you’re writing about “raised mammals” (as I call them in Barsk) or utterly alien extraterrestrials, the only way you make them comprehensible to your human readers is to leave them human at their core. Otherwise, we can’t relate. With the Fant on Barsk I get the best of both worlds, playing with characters who have very clear and understandable motivations to their thoughts and actions, all the while coloring them with the quirks that come from having prehensile trunks and enormous, flapping ears, and all the rest of species-specific behaviors like matriarchal family units and infrasonic calls. There’s enough that’s not human to intrigue, but plenty of basic humanity for them to be sympathetic. Q: You are also one of the world’s foremost authorities on the Klingon language, even going so far as to document Khamlet - Klingon Hamlet. How did you come to be so involved with a fictional language? Timing is everything, right? During my teen years I hung out with older, college-aged folk who were members of the Mythopoeic Linguistic Fellowship (shout out to Paula Marmor, Donald Keller, Chris Gilson). Fast forward two decades and I was a professor at a small liberal arts college in Illinois that was feeling an economic crunch, resulting in the need to fire some faculty members, your humble narrator included. So after I put my papers together and sent out job applications, I needed a distraction while I waited to hear back. A copy of Marc Okrand’s The Klingon Dictionary fell into my hands, and I thought it might be fun to dabble with it for a while, six months tops, using my experience in academia to pull together interested parties and create a central forum for the discussion of the language. Then the media found out about it, and the thing exploded and I was being written up in Time Magazine and The National Inquirer and Omni and on and on. That was back in 1992, and it’s still going on. Q: Given that Star Trek is a largely optimistic form of science fiction, especially in TOS and TNG, is your human-less future a different kind of optimism, or is there something of a reaction there against such ideals? I’m going to be cagey here because answering this question is part of the storyline in the sequels that I have planned. It’s not really a spoiler to say that the raised mammals in Barsk were created by humanity many millennia before. But of all the many races you see in this book, you won’t find any that are uplifted from any primate species. There’s a reason for this that I’m looking forward to exploring. There’s both a greatness and a doom that goes with being a primate, and I’ll be riding that pony in book three. Q: In drafting Barsk, you clearly had a lot of work to do in establishing your vision of the future, building an alien society, and extrapolating animals as sentient characters. As a writer, what aspect was your your toughest challenge? Playing it straight. At no point did I want a reader to look at my protagonist, Jorl, and see Babar. I didn’t want any of the characters of any race to be seen as cartoon animals. I don’t know why, but typically when we see anthropomorphic animals they seem to be of the Disney variety — amusing, harmless, pretty two-dimensional. I wasn’t trying to write Dostoyevsky with elephants, but I wanted the full range of human emotion. I wanted my creations to be imbued with soul. That was the challenge. Q: If we can turn the spotlight directly on you for a moment, I know you’ve listed Burroughs, Heinlein, Le Guin, and Zelazny as inspirations. Who do you find yourself turning to when it’s time to relax, enjoy, and refresh your imagination? There are genre writers that I’ve had the great privilege to get to know personally, authors who do things with their fiction that I can only aspire to do, and I devour their work hoping that somewhere in the process I’ll learn to do what they do, and then if I’m really lucky I’ll make it my own. I’m talking about people like Paul Park for whom the term “brilliant” is insufficient, alternative visionary Karl Schroeder, master fantasist Max Gladstone (with whom I share an editor, so I’ll probably have future opportunities to eat his heart or at least pick his brain), the all around and ever-astounding Daniel Abraham. It’s a privilege to be a colleague of such talent. Q: Somehow, you also manage to find time to run your own small press with Paper Golem, paying it forward to talented up-and-coming writers. What can you tell us about Paper Golem and the kind of work you’re producing there? 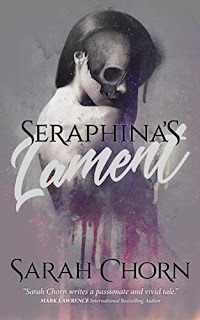 For most of the duration of the press we’ve had two main tracks: an anthology series of original novellas and single author collections for authors that I thought needed more exposure. I started the former series, Alembical, because at the time there just wasn’t much in the way of markets for fiction in the 20 to 40 thousand word range. That’s changed tremendously in recent years, and I think our fourth volume will be the end of the series; the niche we filled has been taken on by bigger and better presses. The single author collections are also less pressing, as more and more authors avail themselves of self-publishing options. But it’s been a great thing to take a handful of writers and enable them to hold up a book all their own when on a convention panel. That’s magical. Q: Looking forward, what’s next for you on the writing front? Is there another big concept novel in the works, or perhaps more tales in the Conroy universe? Yes, yes, and also yes. I’m currently at work on the first book of what I hope will be a mutli-volume series, involving the sapient heart of lost cities throughout the world, and the human instruments who aid them in advancing civilization. 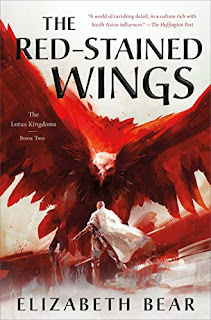 As hinted above, I’d like to write several more books in the Barsk cycle, continuing to explore these characters and their world, and also branching out to do books about some of the other races and places that I’ve only touched on so far. And too, as regards the Amazing Conroy and Reggie, I have outlines for a grand story arc that needs at least four more books to complete, and which likewise promises spinoffs. In addition, I have lots of stand alone short stories and at least one more novella involving Conroy. And then there’s the YA series I’ve written the first book of, involving the descendants of humans removed from Earth back during the Bronze Age, modified by unknown and unseen alien forces, bred for generations, and returned during (and possibly causing) the Renaissance in Europe. And I pick up the story of these people with three cool teens here in the 21st century. So, yeah, I expect to be busy. Ideally, I hope to write two or three books a year for the rest of my days. 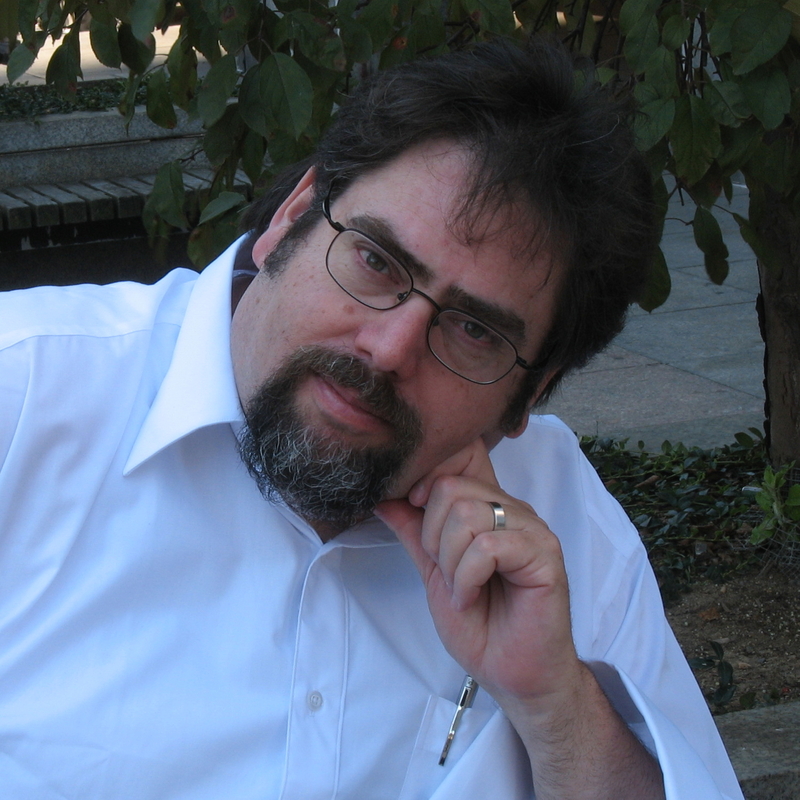 Lawrence M. Schoen holds a Ph.D. in cognitive psychology and psycholinguistics. He’s also one of the world’s foremost authorities on the Klingon language, and the publisher of a speculative fiction small press, Paper Golem. 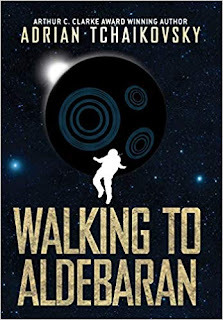 He’s been a finalist for the John W. Campbell Award, the Hugo Award, and the Nebula Award. Lawrence lives near Philadelphia. You can find him online at LawrenceMSchoen.com and @KlingonGuy. To break the Fant's control of koph, an offworld shadow group attempts to force the Fant to surrender their knowledge. Jorl, a Fant Speaker with the dead, is compelled to question his deceased best friend, who years ago mysteriously committed suicide. In so doing, Jorl unearths a secret the powers-that-be would prefer to keep buried forever. Meanwhile, his dead friend's son, a physically challenged young Fant named Pizlo, is driven by disturbing visions to take his first unsteady steps toward an uncertain future. Written up in Time Magazine? Impressive! And all due to a bit of Star Trek geekness. Now that is just awesome. This book sounds great. Different from what I've read so far.